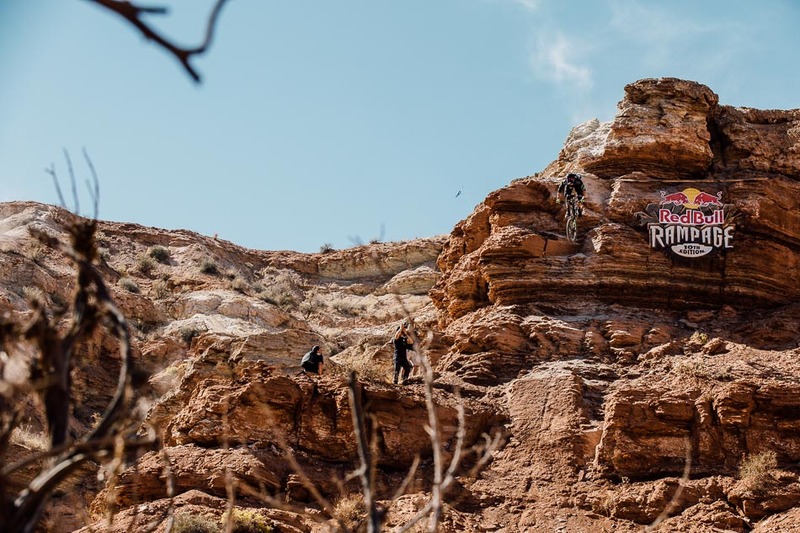 Qualifiers for the 2015 Red Bull Rampage went down yesterday in the spectacular desert around Virgin, Utah, with a couple dozen of the world’s best big mountain riders vying to make the top 11 spots—a feat that would earn them a place in today’s finals. 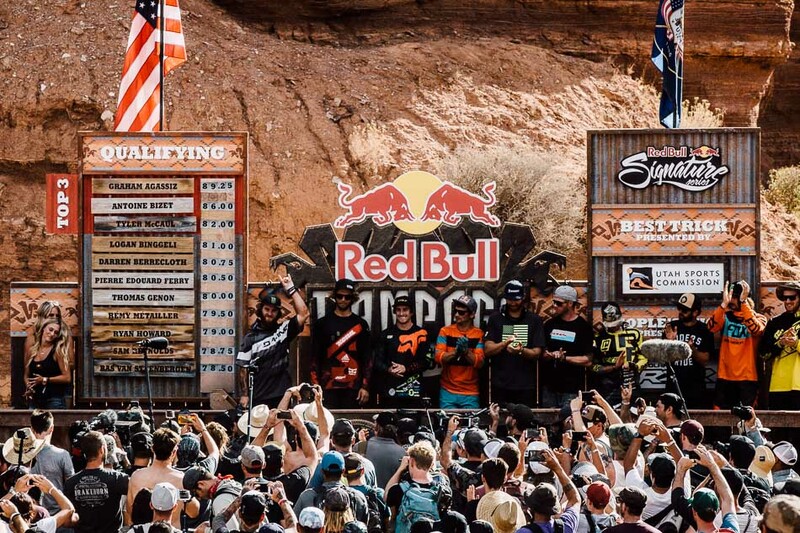 For this year’s contest—the 10th Edition of the seminal big-mountain competition—the organizers made sure the winners of all nine previous Rampages are on hand for the moment, making it a reunion for some of the sport’s most influential freeriders. 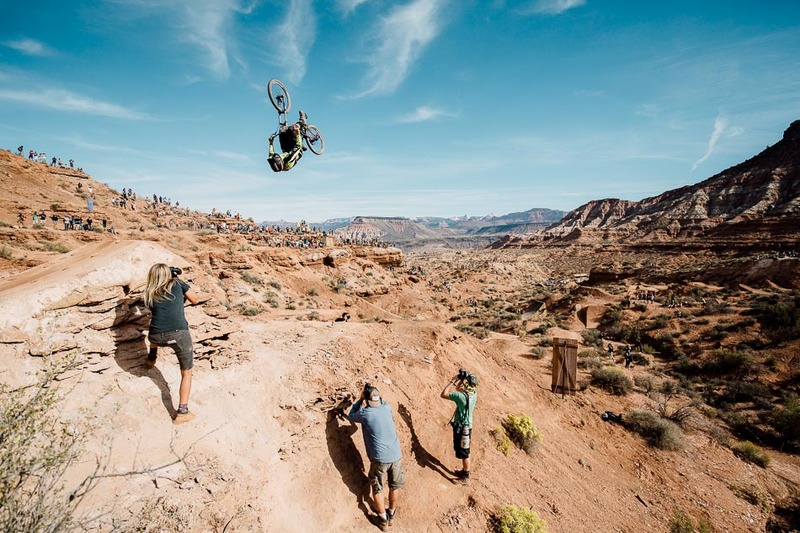 This year’s Red Bull Rampage is the 10th Edition of the world’s most famous big-mountain contest. 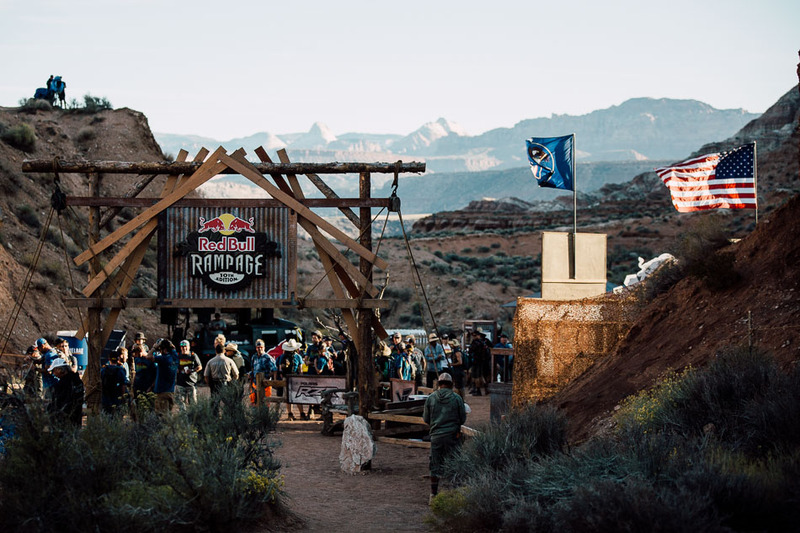 In honor of a decade’s worth of Rampages, the organizers have brought all of the previous winners out to the venue in Virgin, Utah, to pay their respects to some of freeride’s greatest forces. 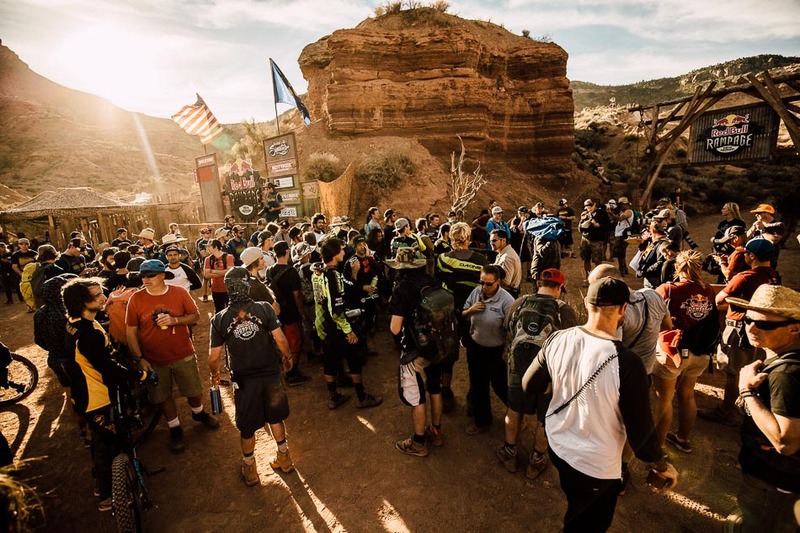 With the morning winds whipping against the towering mesas at the Rampage site, tensions were high among the couple-dozen riders invited to try to qualify for the finals. 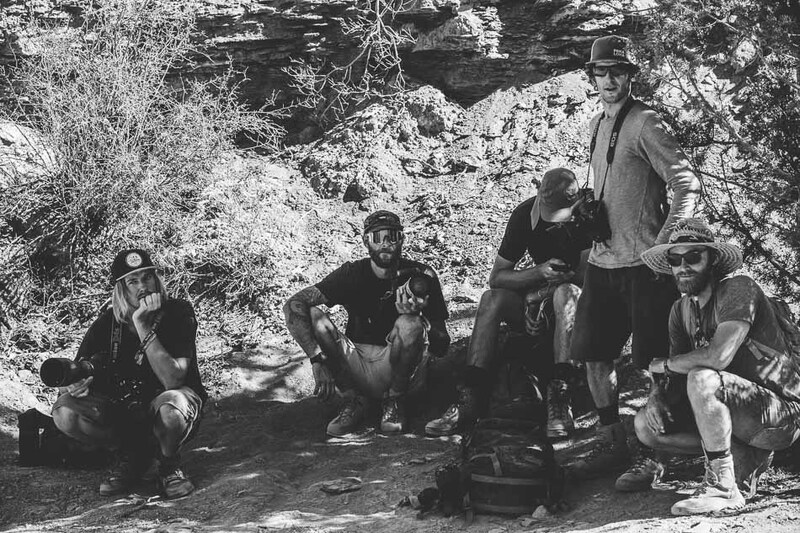 But stand-up dudes like Kyle Jameson get by with a little help from their friends. 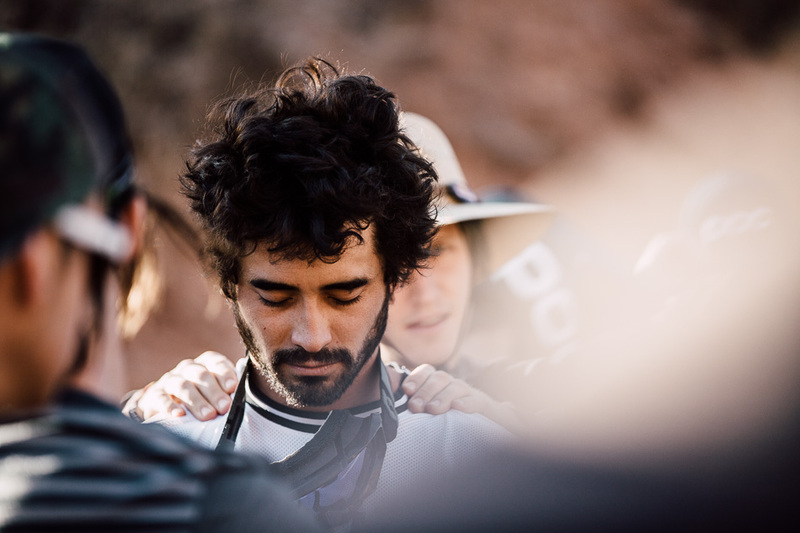 And in this case, ‘help’ took the form of a shoulder massage from pre-qualified Brandon Semenuk. Due to the strong winds this morning, today’s riders’ meeting was a largely sullen affair. The first rider in today’s qualifying round, Rampage rookie Reece Wallace, had been vocal about his concerns over the wind danger. But by the time Wallace had started his opening run, the wind had backed off and he made a clean showing of his Rampage debut. 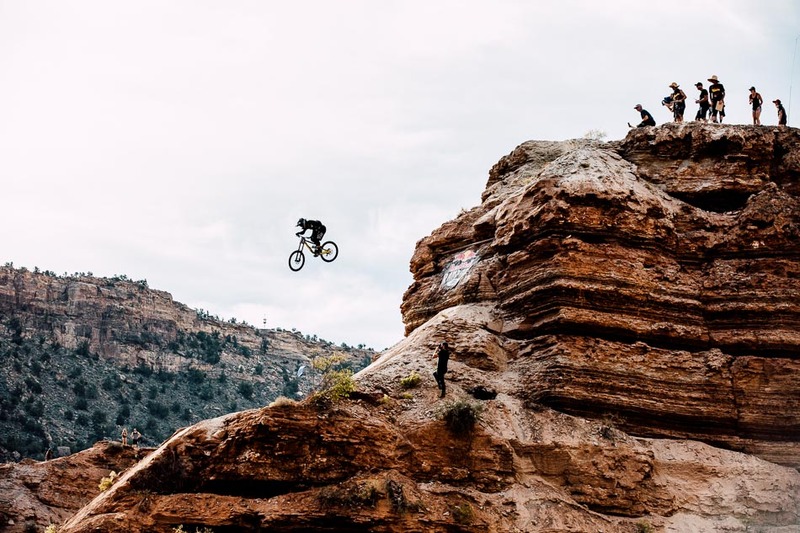 The monstrous scale of Rampage’s jumps and step-downs means often-violent landings, so you won’t see many competitors not wearing extra support around their ankles. Brendan Howey backed his way into a stellar first run, but the competition was so fierce he didn’t make the top 11. Tyler ‘T-Mac’ McCaul has earned a reputation in recent years for going huge, and his first run earned him third place in qualifying and a ticket to the finals. But during the evening practice session he cased the landing on a jump he’d never tried before and had to be carried out on a backboard. It is unclear whether he will compete in today’s finals. 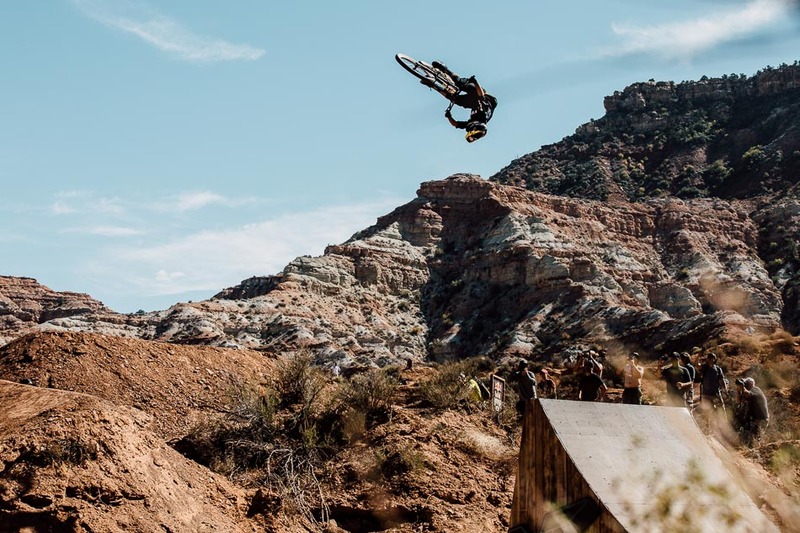 One of the perennial crowd-pleasers at Red Bull Rampage, Graham ‘Aggy’ Agassiz, greased the landing of the massive step-down into his line and then stayed cracked the rest of the way down the mountain to move neatly into first place in qualifiers. This marks the third time in a row that Aggy has claimed first in the qualifying round. 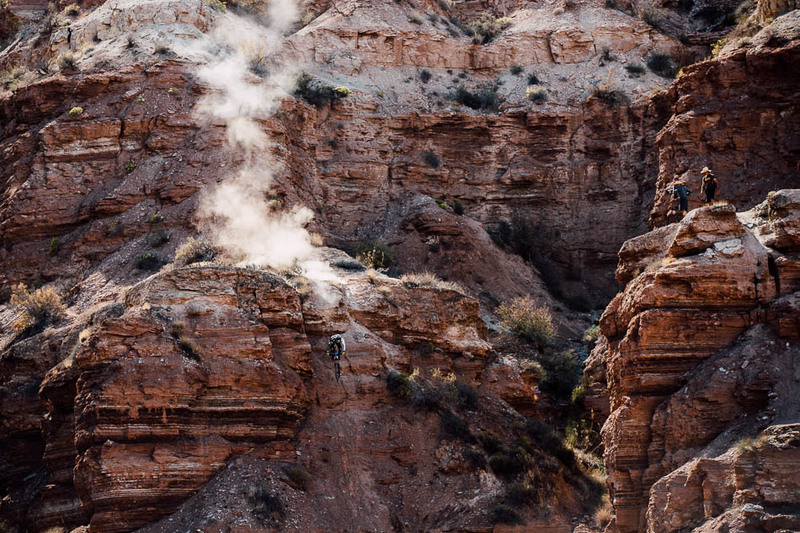 St. George, Utah, local Logan Binggeli knows his way around the Rampage site, and his comfort level in this terrain has been obvious for years–even after badly breaking his femur in a crash below the Oakley Sender two years ago. 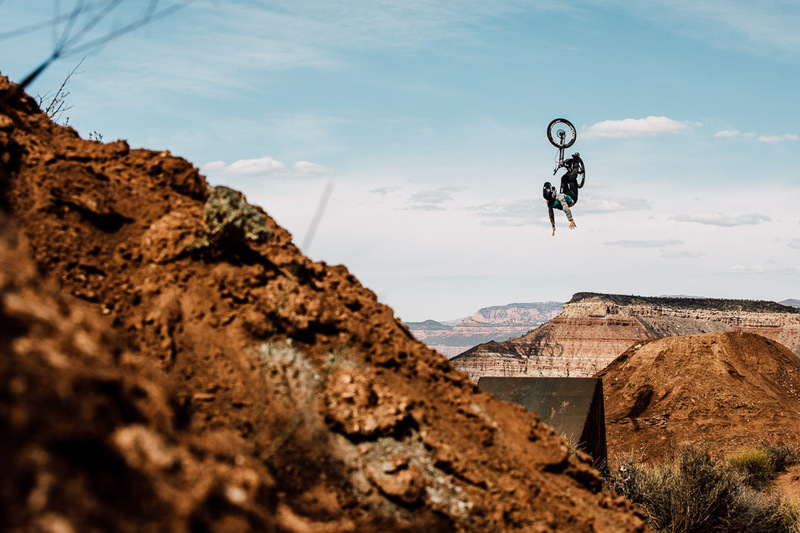 Despite this setback, it hasn’t seemed to hurt his confidence in consequential airs, and his impressive first run on Thursday earned him fourth place in qualifiers. 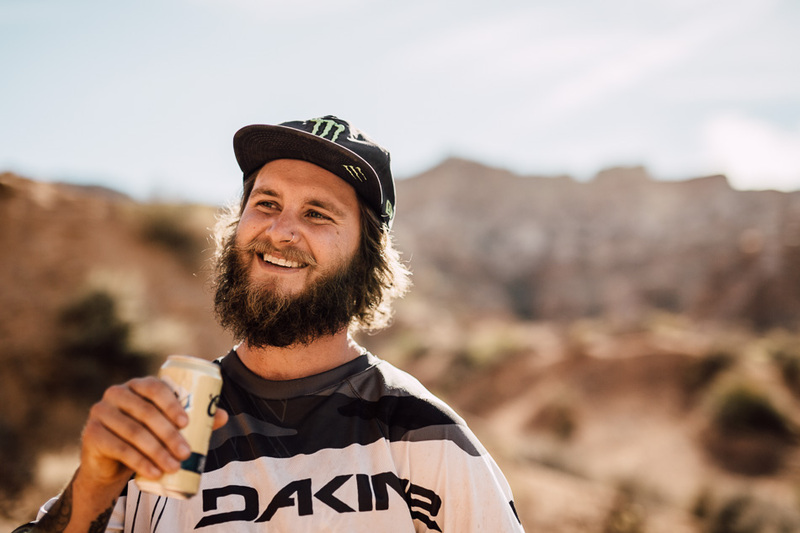 Ryan ‘R-Dog’ Howard took advantage of a break in the morning wind to once again prove his aerial prowess, earning a ninth-place finish in qualifying and a second-consecutive trip to the finals. 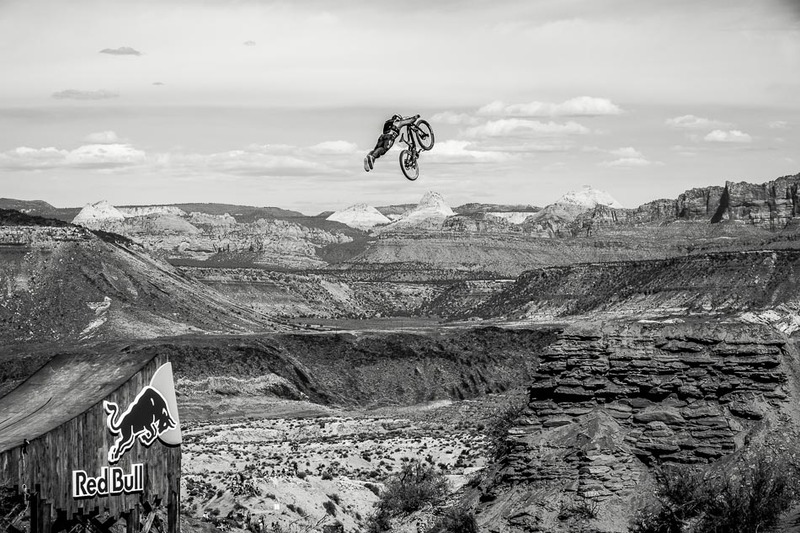 James Doerfling is the epitome of a big-mountain rider, which is why he leans toward the steeps and big drops. But despite making this massive drop look easy, a mistake toward the bottom of his run took him out of contention. 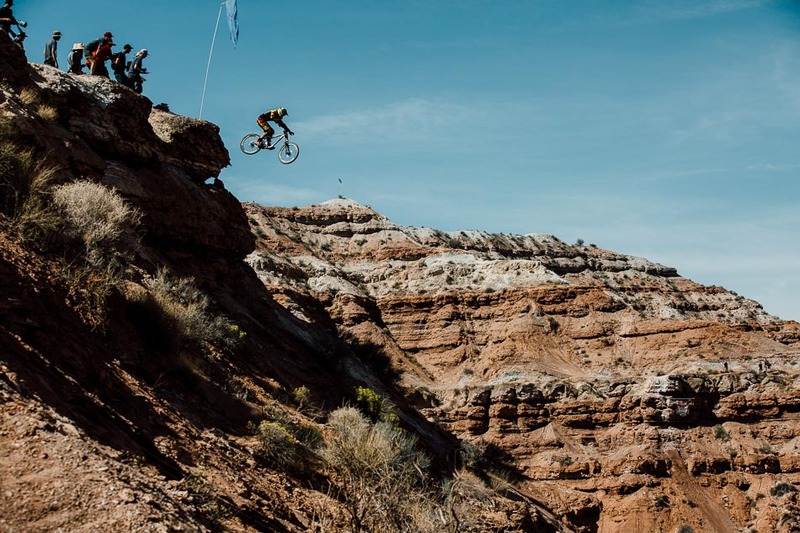 Brit Sam Reynolds reclaimed some American airspace today, exercising his Superman skills over the 70-plus-foot canyon gap. The effort ultimately earned him 10th place in qualifiers and a berth in today’s finals. When the Utah desert heat decides to up the ante, the Canadian (and token German) press corps make a beeline for the rare patches of shade. 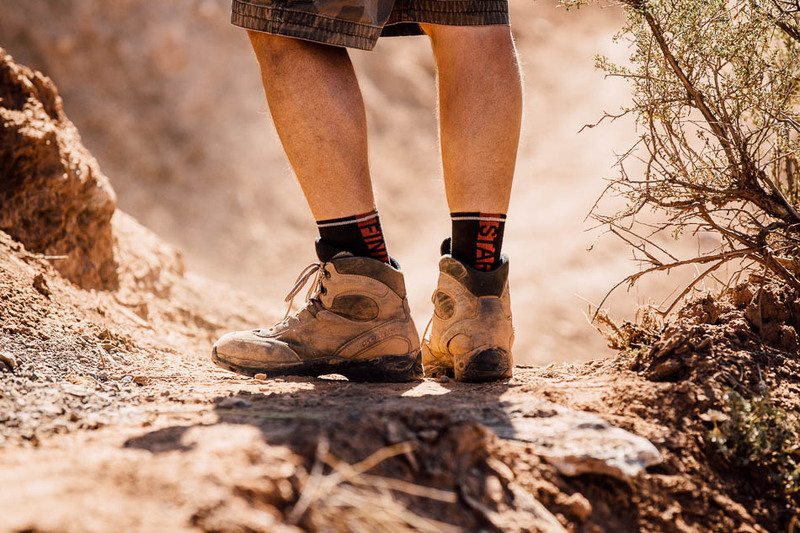 Rampage founder and organizer Todd Barber has one of the world’s most comprehensive collections of Bike magazine socks. 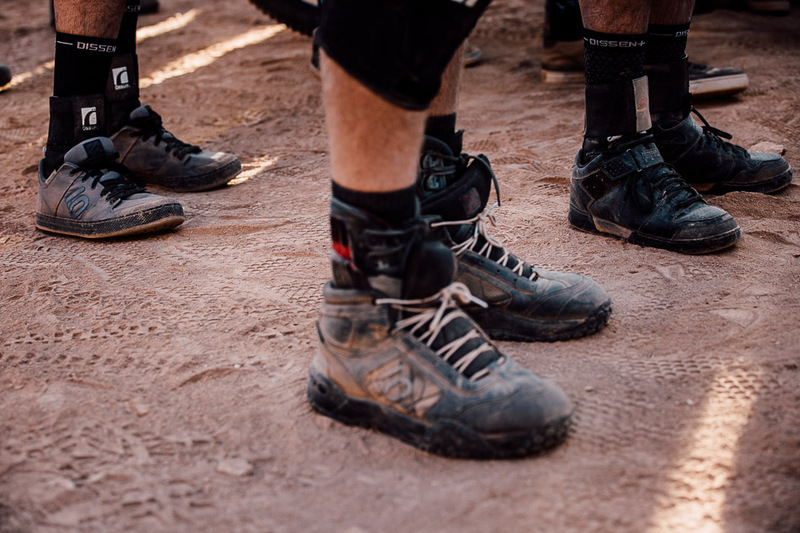 During today’s qualifiers, he chose to wear the 2013 Interbike ‘Start-Finish’ Edition. We’re still waiting to see the long-promised Instagram of his entire Bike mag collection. 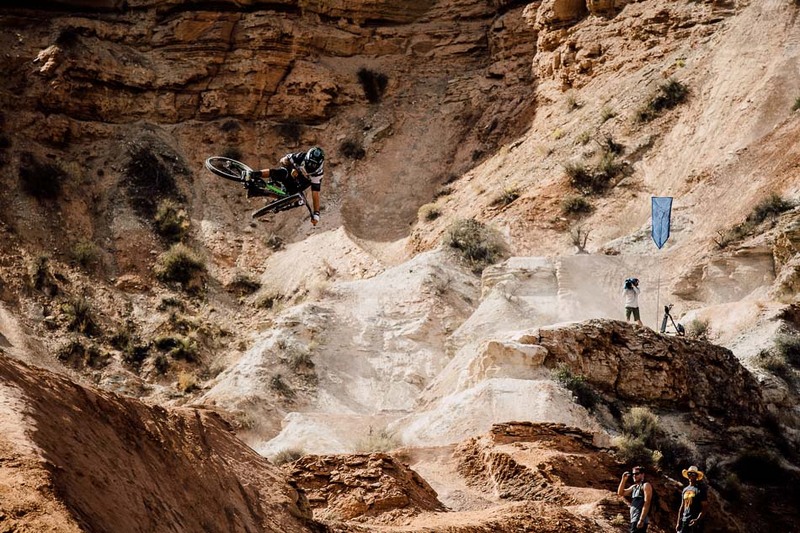 British DH racer Bernard Kerr acted as if the Rampage cliffs were merely another World Cup DH course, and blazed a path straight down them, leaving nothing but dust in his wake. It was clearly no ‘Stoppie Sunday’ for Kerr. Despite such an impressive display of ballsy descending skills, Kerr will not be in today’s finals. New Zealand’s Conor MacFarlane made an impact in his first-ever Rampage appearance, finishing 12th in the qualifiers–only one spot away from a berth in the finals. It is unclear whether the evening’s practice injuries could create an opening for him to participate in today’s finals. These eleven riders won their right to compete against the 13 riders who are pre-qualified for today’s finals. Win or lose, it’s never too early for Aggy to enjoy a much-deserved Banquet Beer.